How to prevent the risers from becoming entangled, especially the upper thinnest ones? Owning a lightweight wing, I get furious almost every time I unfold it because the thin upper lines are tangled … It’s far from practical when you set out in a strong wind. For a long while I swore that I would find a solution for this nightmare (rather than buying another the wing). Solutions, I tried many (comb system, fabric pockets …). And I ended up finding a simple one that is to avoid the risk of entanglement by stretching as much as possible lines without overlapping. Discover the technique with the folding bag “The Tube”. 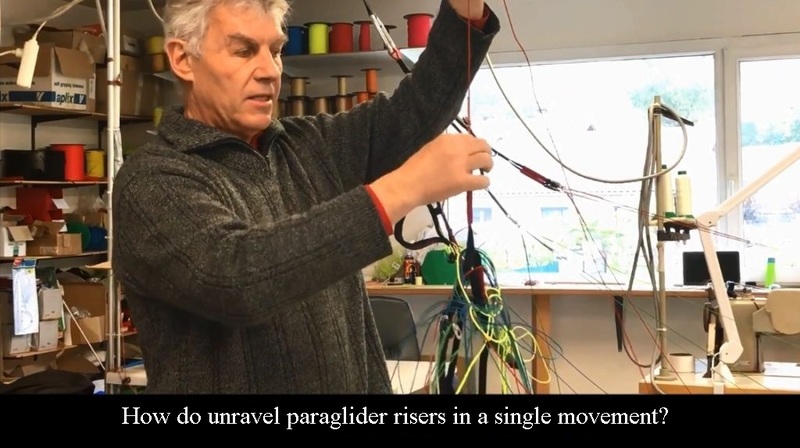 Xavier Beauvallet reveals a surprisingly simple trick that will simplify the lives of tens of thousands of paragliders! Quickly discover its incredible technique to unravel in a single gesture all tangled lines! 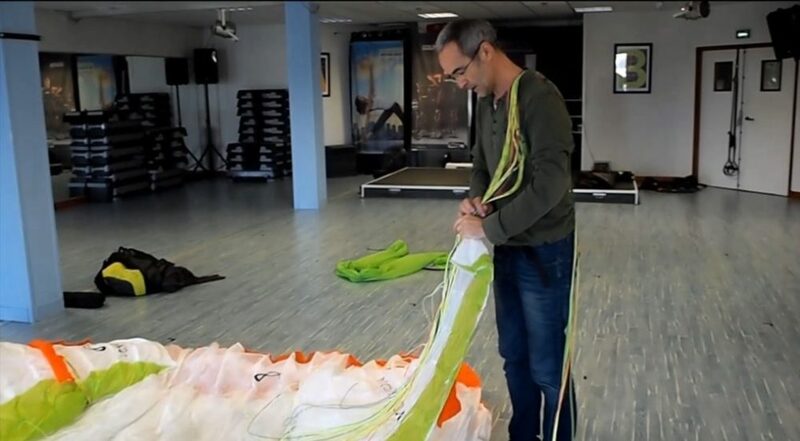 Martin’s advice on choosing the ultra-light harness →← Xavier’s trick for unraveling paraglider risers in a single movement !